Recipients of Experiential Learning Funding (2018-19) will present their projects and progress, so that colleagues can appreciate the details of particular projects and also gain a sense of the range of projects that fall under the rubric of experiential learning. (note: ELF award recipients will be contacted with further information to explain plans for the afternoon). The meetings are expected to bring together any and all interested in experiential learning from across our university, from various disciplines and faculties. inquiring about experiential learning developments. This workshop will explore how student-centered active learning approaches can enhance student engagement, success, and retention. The 60-minute session will take place in the University Club on June 14 at 1:00 pm. Please join us for the annual Experiential Learning Celebration Event. This event will take place on February 17, 2017 from 2-4pm in room 2M70. The event will be interactive and provide an opportunity to learn from some of the projects funded through the Experiential Learning fund. We will also put out our new call for proposals for the next round of Experiential Learning funding. 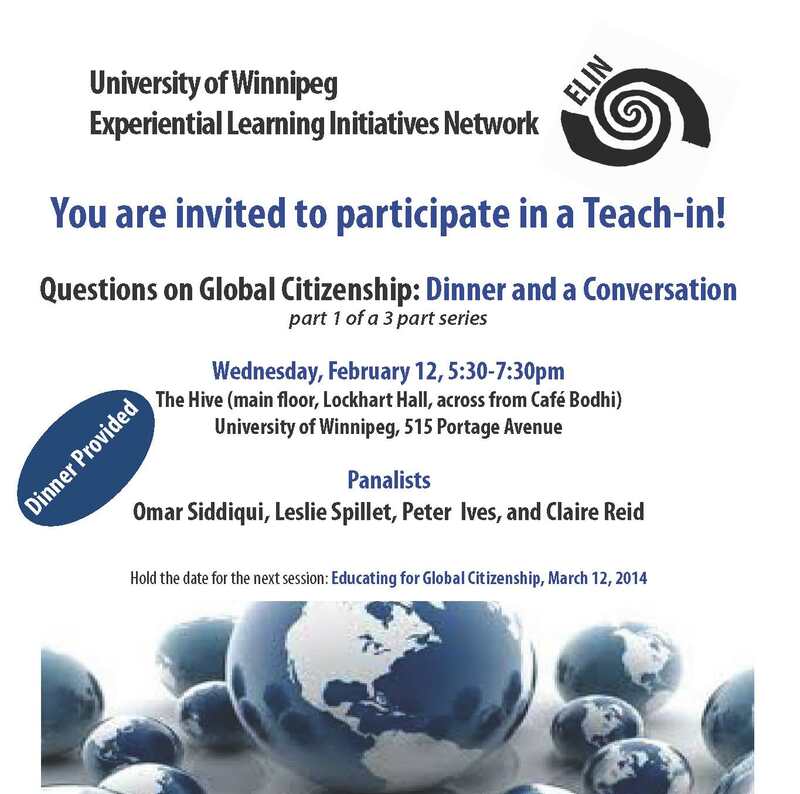 To find out more or RSVP for the event contact Daniel Leonard at ELN@uwinnipeg.ca. If you forget to RSVP come anyway. Please join faculty from different disciplines who will showcase their field school projects and discuss successes and challenges. All sessions are from 12:30-1:20 in 4M39. Once again we celebrated the projects that were funded through this year's Experiential Learning Fund. A video by filmmaker Jonathan Ventura highlighted the various projects as well as the 'aha' moments experienced by faculty, staff, and students as they engaged in these experiential opportunities. Intended as a free, professional development opportunity for high school, university, and non-traditional educators, please join us for dinner and conversations surrounding the complex and oftentimes contested notion of global citizenship. Broad Strokes was a celebration of the projects that were funded through the inaugural Experiential Learning Fund. 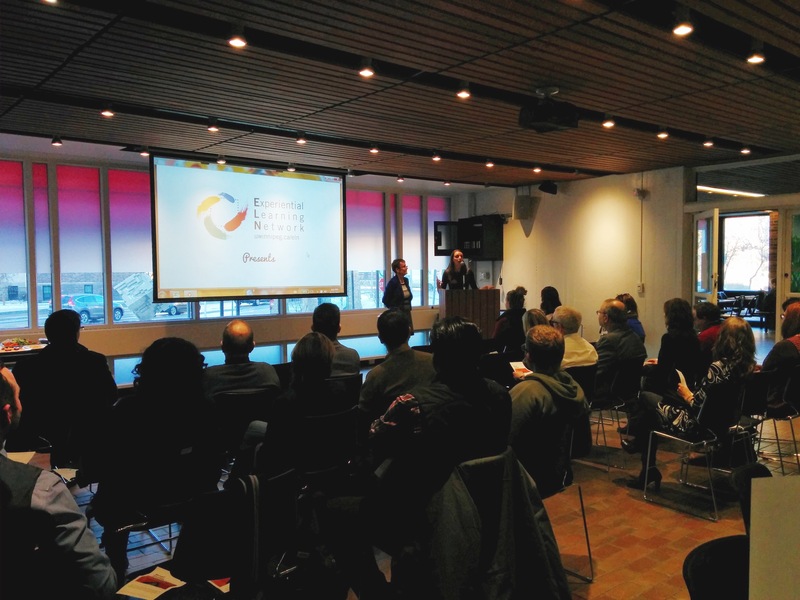 The event was an opportunity to showcase these projects as well as to gather ideas about ways to strengthen experiential learning at The University of Winnipeg. A video was created to showcase the projects, and feedback collected during the event is being integrated into ELIN's work moving forward.